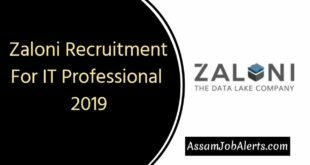 Assam Police Admit Card Download 2018-19 For Jail Warder and Exam Syllabus – Assam Police had published a notification regarding Recruitment for 135 Jail Warder at the month of April 2018. The candidates who are looking for Admit Card / Hall Ticket download link for Assam Police Jail Warder Recruitment 2018, will be able to download the Admit Card form Assam Police official website www.assampolice.gov.in very soon. Assam Police SLPRB will a conduct PST / PET exam with written test to select the candidates for Jail Ward Post. The Assam Police Written Exam Date for Jail Warder Post will also disclose soon by SLPRB. The Syllabus for Assam Police Jail Warder Recruitment 2018 written test is as the details given below. In the previous papers of Assam Police Jail Warder, SI, Constable Recruitment we observe that the questions are asked from General English, General Awareness, Current Affairs, Reasoning Ability, Numerical Ability, Elementary Arithmetic, General Science, Indian History, Culture, Indian National Movement, Assam’s History, Geography, Polity, Economy, General Awareness/General Knowledge & Current Affairs etc.. Appropriate Standard equipment for measuring height, chest and weight shall be used. If a candidate does not meet the required standard, he/she will be rejected and a Rejection Slip will be issued to him/her..
Race: Candidates who cleared the PST will have to participate in 1600 meters/ 1200 meters race for Male and Female respectively which is to be completed within 6 minutes 30 seconds. Written test will consist of 75 multiple choice type questions to be answered on an OMR answer sheet. For each correct answer the candidate will get one mark. Total marks for the Written Test will be 75. Multiple choice objective type Written Test: Maximum marks 75. Extra-curricular activities and special skills and Academic excellence: Maximum marks 10. For the convenient and early preparation of the candidates who are going to appear for Assam Police Recruitment for Jail Warder , SI, Constable written exams we(AssamJobAlerts.com) will prepare few Online Mock Tests For Assam Police recruitment for Jail Warder. We will set the question for online mock test according to the Assam Police previous question papers. The candidates who are going to appear for the Assam Police written test and PST / PET exams for Jail Warder Recruitment 2018 need not to worry for How to Prepare for Assam Police Jail Warder written test. Step 1: Visit the Official Website for Assam Police assampolice.gov.in or the link given above. Step 2: Click on the “Recruitment” tab on the menu bar. Step 3: Open the link for “Assam Police Jail Warder Admit Card | Hall Ticket Download“. Step 4: Insert the details such as Registration Number, Date of Birth, Mobile Number etc. Step 5: Take a printout of the admit card for Physical Standard Test(PST) or Save as PDF.